This workshop is for coaches/mentors (adults) ONLY. Calling all FIRST LEGO League coaches, mentors, and educators! Come brush up on your knowledge & skills during the summer break and hear proven tips for improving team performance. UT-Dallas is once again offering summer training workshops for coaches and teachers where attendees get hands-on experience building and programming LEGO Mindstorms EV3 robots. Sessions are facilitated by Dr. Patrick Michaud, renowned FIRST coach with several world-ranked teams. Space is limited and registration is required — registrations will generally be taken on a first-come first-served basis. 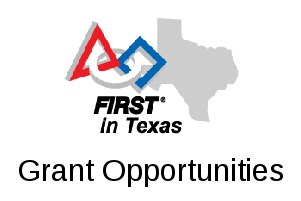 To sign up for these workshops, please visit the UTD FIRST Robotics storefront at https://ezpay.utdallas.edu/C20239_ustores/web/store_main.jsp?STOREID=135, then select one of the available “FLL Coaches Training Workshops”. Again, space is limited and registration will be generally first-come first-served. For more information regarding the workshops, please email <patrick.michaud@utdallas.edu>. We look forward to seeing you at the workshops!